To clarify, those are Ben Cohen’s words, not ours, and to clarify further, he said them at the grand re-opening of Berkeley’s Ben & Jerry’s ice cream shop. 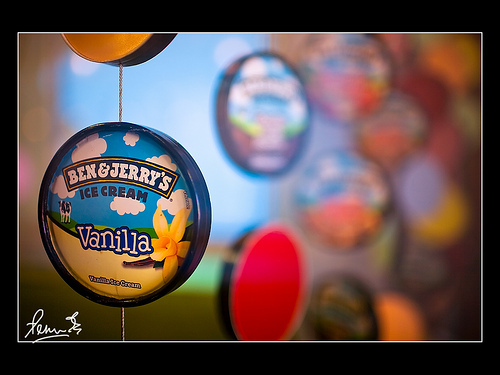 Hmmm, you might be thinking, Ben Cohen … Ben & Jerry’s … could it be? 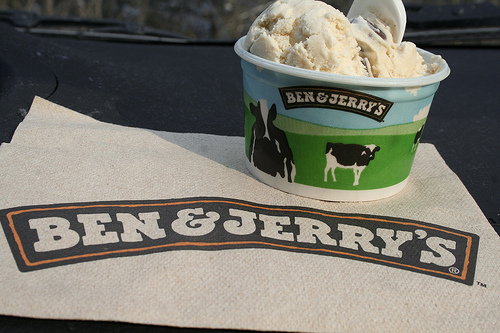 Yes, readers, whether or not you were aware of it, the Ben of Ben & Jerry’s was here in Berkeley just the other day. If you can’t believe that you missed his speech on fair trade, or finding out his favorite flavor (Cherry Garcia), you’re in luck, because the Clog most certainly didn’t and we’re happy to tell you what went down at 2130 Center Street. The new—or, perhaps more accurately—relocated Ben & Jerry’s has opened its doors on Center Street, between Oxford Street and Shattuck Avenue, a stone’s throw from its old location on Oxford Street across the street from campus. We have yet to patronize the new location, but it is now serving all the delicious ice cream you could possibly want in this hot summer weather, and we hear tell that its grand opening will be taking place next month, when more students will be around, we imagine. In the mean time, we will no longer be deprived of a place to buy frozen bananas. Perhaps a source of more intrigue are the storefronts at and next to Ben & Jerry’s old location. Both are still closed, but signs in the window advertise a restaurant that has something to do with barbecueing and what looks to be a cinnamon bun shop, but we’ll keep you posted. 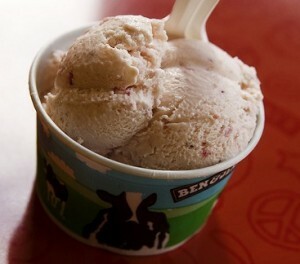 In the wake of some high times yesterday, Ben & Jerry’s will celebrate its free cone day Barnyard release today. Yeah, sure the portion’s a bit skimpy, but who’s going to say no to some ice cream on a day like this? Oh, and P.S. The Berkeley store opens in less than 30 minutes, so get a move on already!